Participation in the Steiner Ranch Neighborhood Association is open to the entire community. Membership in the Steiner Ranch Neighborhood Association is open to all residents, property owners, and holders of a business license located within the boundaries. 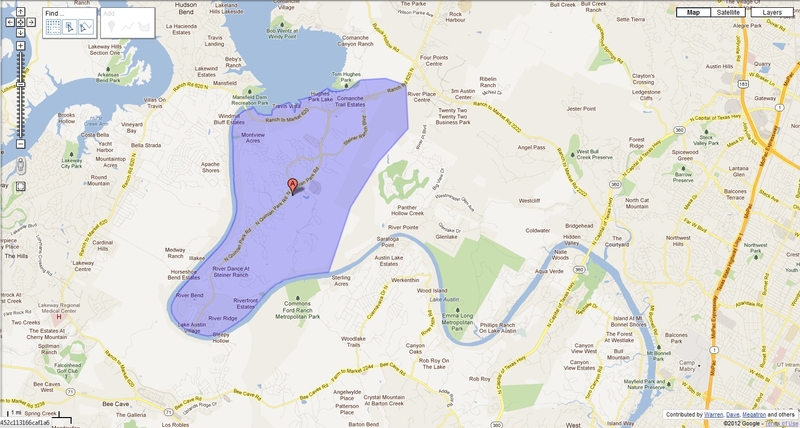 The SRNA Boundaries are: Lake Travis (North), Lake Austin (West, South), and the Balcones Canyonland Preserve (East). Including the neighborhoods of: Steiner Ranch, Caslano, River Bend, Montview Acres, Marshall Ford Vista, Travis Vista, Hughes Park Lake, Strawberry Hill, Comanche Trail Estates and all residents, businesses within the boundaries.